UK Prime Minister David Cameron is among the many rich and powerful people affected by Panama Papers, and many are calling for his resignation, reports RT. One clever individual had another idea -- just sell him. 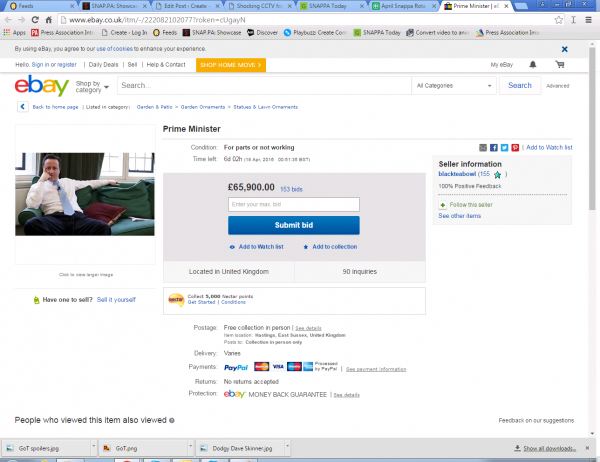 On Monday afternoon, an auction for the leader turned up on eBay. Cameron's condition was described as "For parts or not working." It was also made clear the buyer was solely responsible for pick-up and transport, as the seller was, "... not prepared to touch item." The listing was placed in eBay's Statues & Lawn Ornaments category. 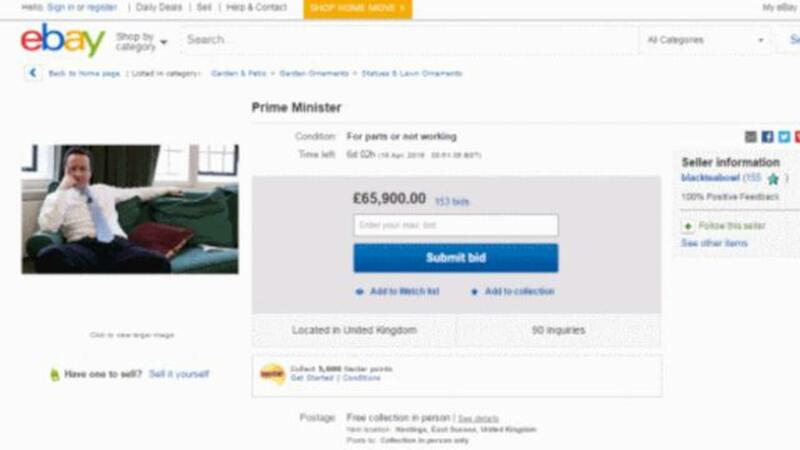 Cameron proved to be incredibly popular, receiving over 150 bids. The selling price reached the equivalent of roughly $90,000 U.S. before eBay pulled the listing on Tuesday.